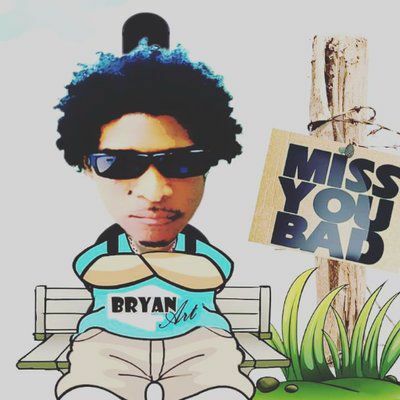 "The intro has that lovely rhythmic reggae sound, and with the used dance beats in it and has vocal voice makes it a world class song"
The name Bryan Art describes a witty songwriter, meticulous producer, renowned guitarist and multifaceted artist specializing in music with a positive message. A graduate of the Edna Manley College of the Visual and Performing Arts where he majored in guitar (Caribbean Latin American & Jazz Studies), Bryan first came to prominence as a guitarist and touring member of the Legendary Fire House Band. With Firehouse, Bryan gained immeasurable experience, supporting top flight Artistes including Luciano, Mikey General and Sizzla for several years and later with Bushman as band leader and guitarist of his Grass Roots Band. The multi-dimensional Bryan Art who in his college years, balanced guitar duties with photography and graphic art, also spent invaluable time teaching music in Jamaican Schools. He took the bold decision to add a further dimension as recording Artiste and in 2001, released his first single titled Soon Come Back, produced by himself and Courtney Morrison for FIWI Music Label. In 2012, Bryan Art registered his record label, Junction Files Muzik his first major step to creating an independent organizational structure. Later in 2013, he decided to seek a new management team in order to execute his re-energized vision. He has assembled a group of young, skilled and talented local musicians who are now known as the File 13 Band which, as a unit has been supporting Bryan Art live performances and winning over the hearts of local and international music lovers. He also released his self-titled album in April 2013, making it an overall productive year. Born in St. Ann, Jamaica, Bryan Grant, recalls playing the guitar before the tender age of eight. His keen interest in music was ignited by his eldest brother, but it was his mother who taught him his first three primary chords on which he learned to improvise and build for years to come. His major sources of inspiration continue to be, Dennis Brown, Beres Hammond, Toots Hibbert as well as Stevie Wonder and Al Green.Today Bryan Art continues to bring a fresh voice, image, and attitude to the industry gaining him thousands of fans as well as the respect of the music fraternity.